Intelligent Illumination™, ProAdjust® and OptiStak are just a few of the ways Schneider leads the industry in innovation. While others rely on external computer solutions, Schneider equips their machine with their own proprietary software. 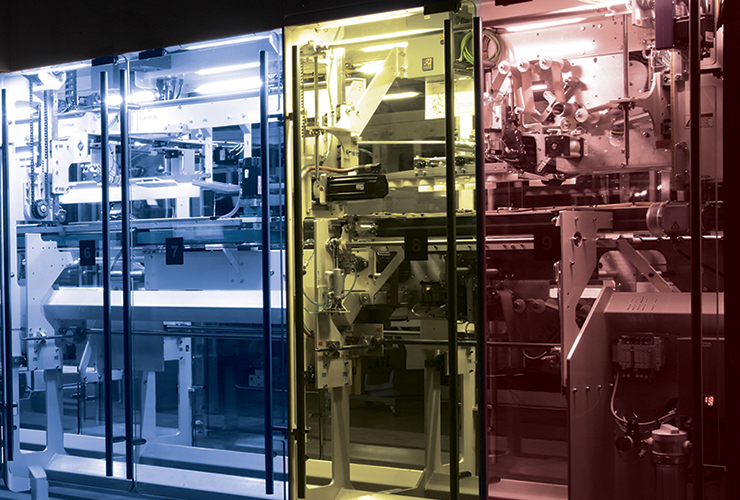 Each technology contributes to efficiently increasing your bottom-line and productivity. Intelligent Illumination™ proactively cues operators where attention is needed. Giving visual alerts with tasked-based lighting, Intelligent Illumination allows clear visibility to issues without consulting the HMI. 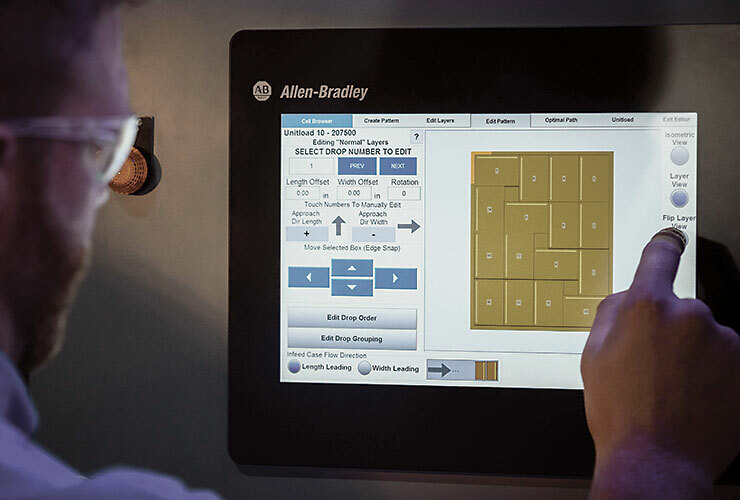 OptiStak is an integrated software in Schneider Palletizers that closes gaps in your pallets and change patterns on the fly—directly from the HMI. Your operators can change patterns on the fly, optimize pallet configurations quickly, and avoid changeover delay. 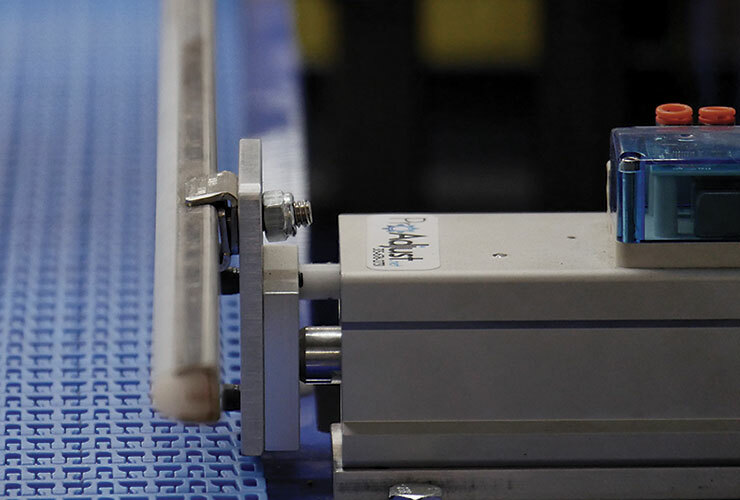 ProAdjust® is an automated machine adjustment system featuring an easy-to-use hand-held interface driving the adjustment power modules. The technology is designed for simple installations, setup, and operations with maximum reliability at minimal cost.